The double-sided polymer micro lens arrays can be used in cost-effective mass production thanks to a unique tool technology. 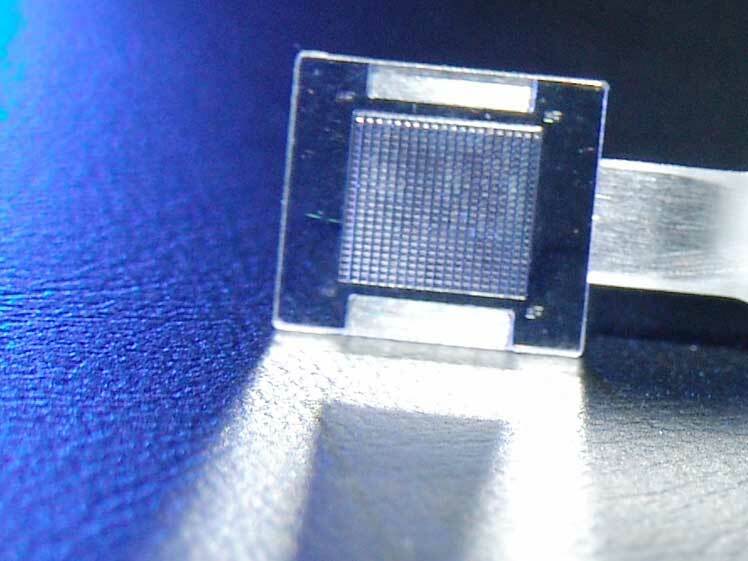 Micro lens arrays are used to homogenize light paths from projectors and to guide the beams into laser projector systems. Jenoptik has developed a double-sided polymer micro lens array for this purpose. The new technology allows both sides of the micro lens array to be aligned facing one another in the µ range. This guarantees precise coverage. The array contains several optical lenses are positioned very close or immediately next to one another. The individual lenses range between a few micrometers and one millimeter in size. They can be cylindrical or rotationally symmetrical. We create different shapes of micro lens array depending on the light field. We manage and implement projects for our customers from the design stage right through to series production.